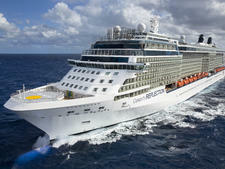 Celebrity Cruises' owner Royal Caribbean acquired Sun Bay 1, a small luxury vessel, built in 2001, and launched it in June 2004. 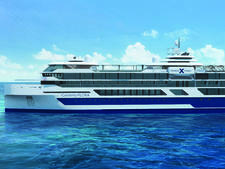 In an innovative move, Celebrity's Xpedition sub-brand, created a new strata of up-market, premium-priced cruises and shore excursions offering travelers unusual cruise experiences in exotic destinations. 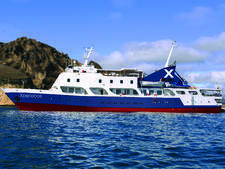 The start-up of the venture marked the arrival of the first mainstream cruise company to operate around the Galapagos Islands year-round. 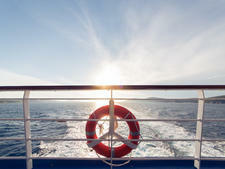 This option opened up Galapagos cruises, formerly the province of backpacking (or high-end) "adventure travelers." 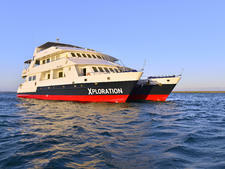 In essence, Xpedition combines the exotica of this type of adventure on a small vessel with some of the amenities and features -- high level of service and cuisine, for instance -- that Celebrity is known for. And indeed, the joy of the Galapagos operation is that it combines Celebrity stylishness with local, "small ship" ambience. Crewmembers -- almost entirely Ecuadorian from the captain down -- are sunny, charming and tirelessly obliging. 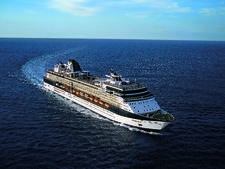 Destination-oriented features are incorporated into the onboard experience, such as a performance of Ecuadorian folklorique preceded by a highly personalized slide show featuring pictures of passengers meeting wildlife during the course of the trip (guests are presented as a complimentary CD to take home). 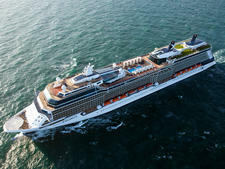 Better still, all drinks (except for certain premium brands) and tips are included in the price, so the atmosphere is more relaxed and sociable than that on the big Celebrity ships, where passengers are more reluctant to mingle because of potential embarrassment over who buys drinks for whom! 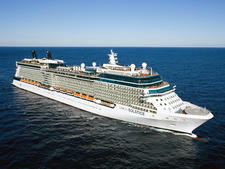 Apart from a couple of Canadian ex-pats, we were the only Britons on the inaugural cruise and, apart from the Latino family group the vast majority of our fellow passengers were cheerful, eco-oriented, middle-class Americans. On a ship with such an outdoors-based itinerary, casual is obviously the order of the day, but guests seemed to enjoy changing out of their daytime swimmers and shorts and dressing fairly smartly for dinner. 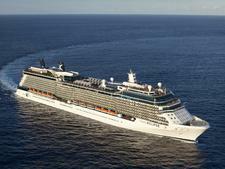 Gratuities are included in the cruise fare on Celebrity Xpedition. 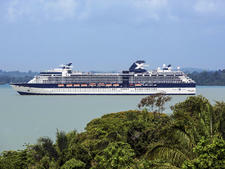 Part of Celebrity Cruises' Galapagos Islands fleet; launched in 2017. Chic atmosphere featuring grassy Lawn Club with Corning Museum glass blowing shows, gourmet dining options and spa cabins and cuisine. Caters to the chic city slicker with a Lawn Club, Apple computer classes and bars specializing in everything from martinis to cocktails to craft beer. Cultured vibe; features the country club-style Lawn Club with extra-fee Hamptons-inspired The Porch, suites-only restaurant and multimillion-dollar art collection. Sophisticated vibe with gourmet dining, the country club-style Lawn Club and two suites-only restaurants; partnership with Canyon Ranch is a highlight for spa-goers. Sophisticated vibe with gourmet dining options, a suites-only restaurant and lounge and a spa partnership with Canyon Ranch; fewer than 3,000 passengers. 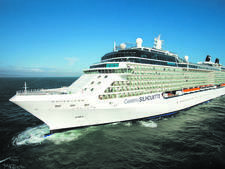 Affectionately known as "Connie," 2,034-passenger Celebrity Constellation debuted in 2002 and, over the years, has developed a host of admirers and repeat cruisers. 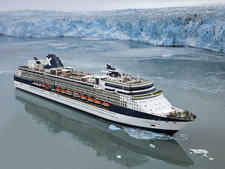 Glossy ship with highlights that include an ice-topped martini bar, sushi restaurant, self-service wine bar and a spa partnership with Canyon Ranch. 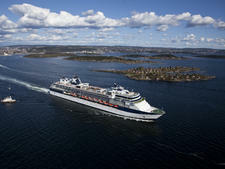 An eclectic mid-sized ship, which carries near 2,100 passengers; offers Celebrity Life’s enrichment programs, guest entertainers and late night dancing. 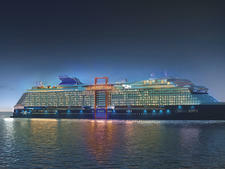 Celebrity Apex is the second of four new cruise ships that will debut under Celebrity's Edge Class moniker. Beyond will launch in 2020. 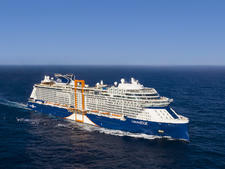 The third of four new Edge Class ships will launch in Fall 2021 and will feature several innovations debuted by Celebrity Edge. The fourth and final of Celebrity's Edge class cruise ships will launch in spring 2022 and will feature "infinite" balconies and a moveable deck.